Valentine’s Day is a mere six-ish weeks away. about hearts, and Cupid, and sparkly pink things. Ok, chocolate too. You got me. Now I just need to find the boxes for the ornaments. and pack them away for next year. regain a little control and kind of feel like I have my house back too. so our New Years will probably be pretty low key. that I would be gluing them in. hides where they are connected. that you do every year? Hi Tanya! I saw your amazing post earlier when I linked up to your party. I had to stop back by to tell you that I am CRAZY in love with this wreath. 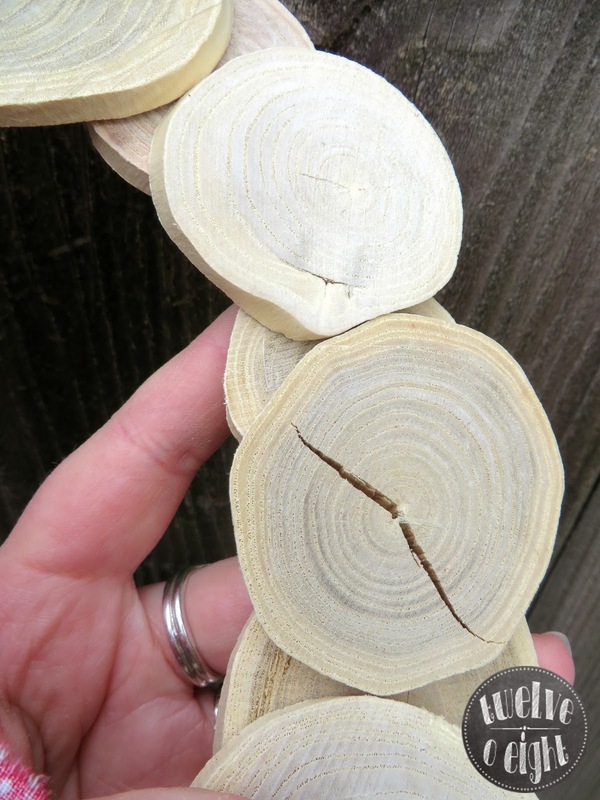 I love wood slices and adore your use of them for this project! Pinning now! 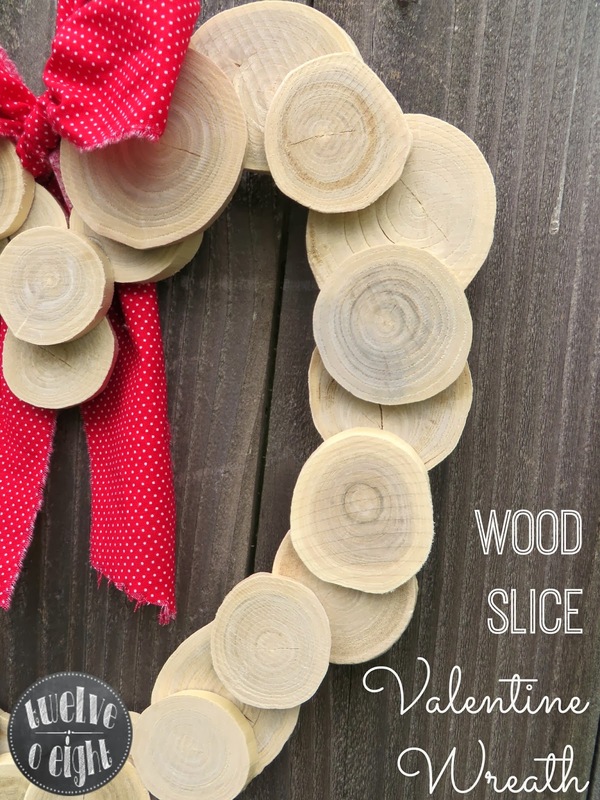 Very cute – I've never done anything with wood slices – I think I need to make a run to the craft store. Thanks for the great idea. I am not sure if my comment went through…so I want to make sure : ) This adorable wreath is so adorable! 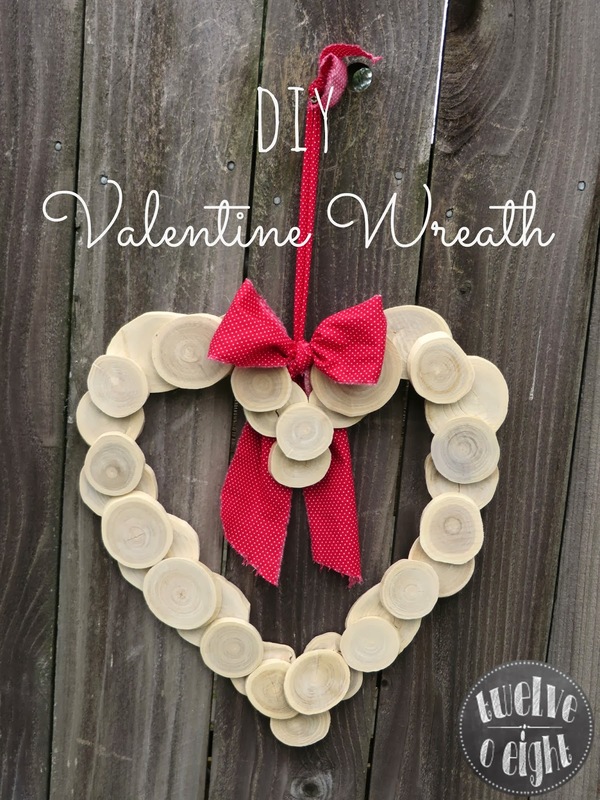 The power of the wood slice is amazing and they look picture perfect creating this precious heart wreath!!! Thanks for sharing and here's wishing you and yours the HAPPIEST of NEW YEARS!!! Wow, that is adorable! 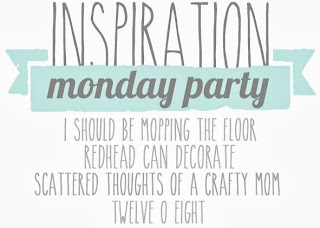 I just happened upon your blog via a Facebook link and it's fantastic!